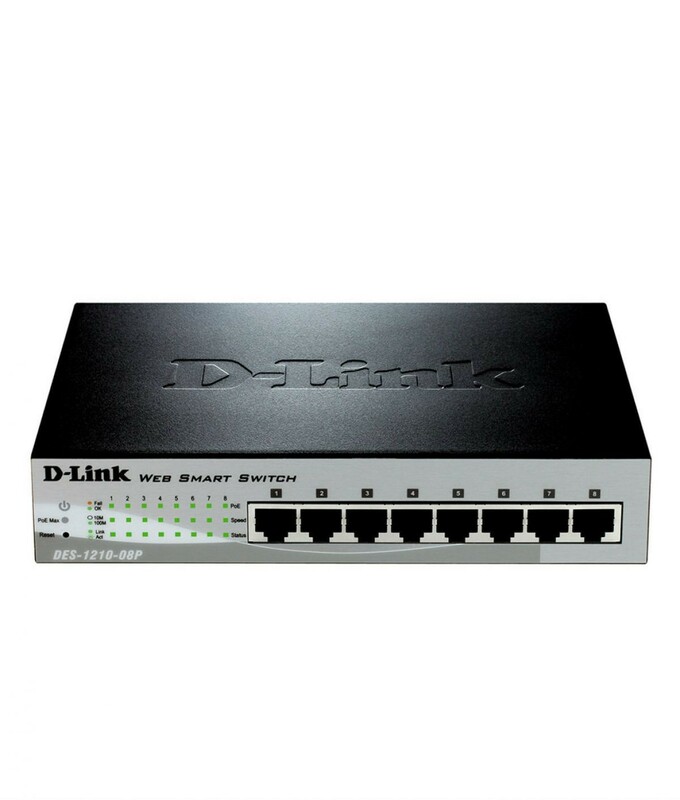 The DES-1210 Series is the latest generation of D-Link Web Smart switches. Equipped with 24 or 48 10/100 Mbps ports, 2 10/100/1000BASE-T ports, and 2 combo 10/100/1000BASE-T/SFP ports, the DES-1210 Series integrates advanced management and security functions for enhanced performance and scalability. The DES-1210-08P/28P are built with 10/100 Mbps ports that are PoE-enabled, offering ease-of-use and green features such as Timebased PoE, which can shut off PoE power at a predetermined time. The Smart Fan feature on the DES-1210-28P allows the built-in fans to automatically turn on at a certain temperature, providing continuous, reliable, and eco-friendly operation of the switch. Compliant with 802.3af and 802.3at, the DES-1210-28P is capable of feeding power of up to 30 watts to devices. Management options include SNMP, Web Management, SmartConsole Utility, and Compact Command Line for easy deployment. The DES-1210 Series provides a complete and affordable solution that is ideal for small and medium businesses and the enterprise edge.